Elephant Games is proud to present the newest addition to the Mystery Trackers series! 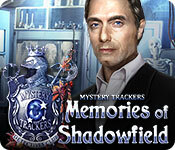 Mystery Trackers: Memories of Shadowfield is rated 3.4 out of 5 by 18. Rated 5 out of 5 by pgillenw from I Loved this Game So Much I Have Played 3 Times This is a well developed game. Enjoyed! I own the CE but never used the strategy guide. Rated 5 out of 5 by splat49 from Pleasurable but too short Like a comfy pair of slippers, this game will be familiar to those who've played titles in this series before. There are lots of HOPS, puzzles and objects to find and use. My only complaint is that it's too short. I thought I'd settle in for the day with it, but it's over after a couple of hours. Rated 4 out of 5 by orbweavez from Another Short One What's with the short games?! It takes me forever before I finally play a game I've bought, but lately there have been a lot of short ones! This one is very enjoyable, only downside is the length. Rated 4 out of 5 by ninja226 from Fun game I'm a fan of the Mystery Trackers series. This is a fun game to play. It has a good combination of voiceovers, artwork, special effects, story, and suspense. I didn't like some of the mini puzzles, and some actions to take were not completely intuitive. Other than that, this is a great game. Rated 4 out of 5 by pfhia from Enjoyed parts of the game, other's not so much Puzzles were different & hard. Graphics weren't the greatest and narration didn't match mouth movement. Rated 4 out of 5 by pennmom36 from THIS IS ONE OF THE FEW GAMES I ACTUALLY WANTED TO PLAY IN IT'S ENTIRETY Most of the games offered lately, haven't been able to hold my attention all the way through to the end, much less the bonus chapter. I really wasn't expecting to get into this game wholeheartedly, but I was pleasantly surprised, it's a decent game! I even did a little research about my little buddy, Elf. I wanted to know why the devs chose such an odd name for the little Miniature Pinscher helper. Turns out that the idea for this series was originally going to be a twisted fairytale theme, but ended up evolving to the Mystery Trackers Agency. After seeing a MinPin, the team decided to incorporate this quirky little breed, and supposedly, this breed was referred to as little elves, so the name stuck. I've never heard this nickname, and I have owned and operated a grooming salon for over 30 years, and I could find nothing that links elves with min pins, so perhaps someone could fill me in on this little known secret! The Zwergpinscher is a common reference as is the King of Toys, (pinscher describes the dogs way of hunting vermin) but for now, I still have no idea why Elf is named Elf. Here's a recap of my review to help you decide which version, if any, is right for you: Being a Mystery Trackers Agent can be very stressful. So stressful in fact, that your brain has shut out all memories of your current case, The Shadowfield Observatory missing persons case! This assignment should have been a piece of cake, but something must have gone terribly wrong, to cause amnesia. Your only hope of solving this case, is through hypnosis, to peel back the layers, buried deep within the mind. One thing's for sure, your partner Elf seems to know more than he's letting on, but he ain't talking! The Mystery Trackers series has always appealed to me, especially in the beginning. As with most games in a long running series, Mystery Trackers hit a bump in the road to fame, with some less than stellar games. The problem was that in an attempt to make the games easy enough for beginners, they made the puzzles and game features too simplistic,making the games unappealing to even the beginners. I think Mystery Trackers finally made it over the bump in the road, with the last two games offered, they have redeemed their credibility in my opinion. There are really only two "sidekicks" that are must haves, Mr. Jenkins, and of course, Elf. Mystery Trackers wouldn't be Mystery Trackers without the help of our little four legged pint sized agent. In the Collector's Edition version, there are plenty of extras to validate its worthiness. In fact, when I first discovered this series, back in the day, I couldn't get enough of theses games because of their highly entertaining extras, every MT games have them. There are Morphing Objects, 12 hidden Zodiac Symbols, and 40 Hidden Screen Tiles that will complete a stunning stellar picture, once they have all been found. 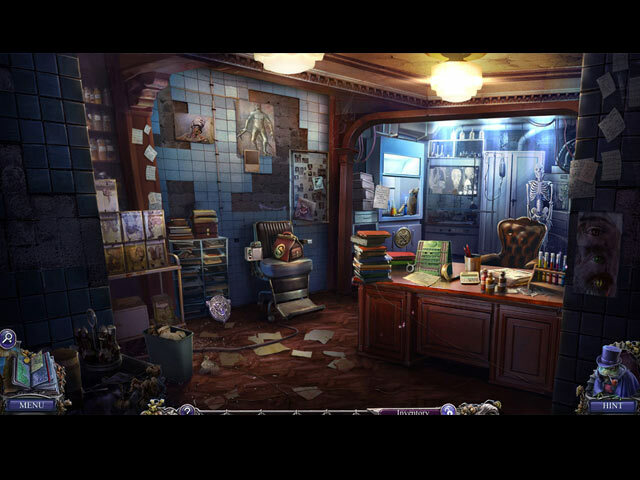 The Hidden Object Scenes are decent, but still don't compare to the earlier HO's offered originally. (the one's where objects were cleverly blended into the scene, not heaped on top of a giant pile of junk) There are Interactive List finds, Silhouetted Shape finds, Keywords in sentences and scenes where you grab items from the inventory bar and place them into the scenes logically. One HOP in particular was challenging because you have to scan two different constellation maps to highlight the images to find them. Back in the day, Mystery Trackers Hidden Object Scenes were unique, because they required you to toggle back and forth between inventory bars, because some HO interactions required items that you found during the main game! The Mini Games are much less simplistic than they were previously, but still lean towards the easy breezy side. Below are brief descriptions of some of the games you'll encounter during the demo: 1) Guide the tool chip along the tracks to the right side of the board. (all that work for a lousy screwdriver, everyone knows all you need is a coin!) 2) Move the elements across the board to place the symbols of Zodiac signs next to their matching images. 3) Remove the branches in the correct order. 4) Align the correct fittings by rotating the circle to match up halves. 5) Complete the image by rotating honeycomb shaped tiles. 6) Arrange the planets into one line, moving one planet may affect others. 7) Arrange the board according to the diagram, moving one sphere may affect others. 8) Use the pin to mark 3 different sized stars on the globe, click the globe to rotate it and drag the pin to move it. MYSTERY TRACKERS GAMES AVAILABLE: Name****Collector's Edition Release Date***Average Rating Black Isle (CE 3-1-12) 4.5 Blackrow's Secret (CE 8-28-14) 3.6 Four Aces (CE 10-11-12) 4.6 Memories of Shadowfield (CE 6-22-17) 3.5 Nightsville Horror (CE 3-26-15) 3.6 Paxton Creek Avenger (CE 1-28-16) 3.6 Queen of Hearts (CE 12-10-16) 3.1 Raincliff (CE 11-15-11) 4.6 Raincliff's Phantoms (CE 2-13-14) 4.5 The Collector's Edition has 8 Wallpapers, 8 Concept Art pictures, 4 Music Soundtracks, 22 Achievements, 40 Screen Fragment Tiles, Morphing Objects, 12 hidden Horoscope Signs, a Secret Room, a built in Strategy Guide and a Bonus Chapter, enjoy! Rated 4 out of 5 by Pilot1 from Don't 'shrink' from getting this one! Others will, or have described the play-by-play, so I'll not do that. I’ll confess, up front, that in general I like games from this developer, Elephant Games, and, in fact, have many of their products. I’ll even confess to liking Elf, although most helper animals and objects are a turn-off for me. The little pup, though, is neither obtrusive, overly cute, or annoying in ways so many of his ilk can be, and usually are. The graphics, music, background sounds, and voice-overs are all very well done, as can be expected of Elephant’s games. The storyline, while not entirely unique —let’s face it, there are a finite number of plots and the best that we can hope for is an interesting twist, which this game has. Other games have used the 'told in flashback' ploy, but I don't recall any other that opened with the protagonist in a (PTSD?) therapy session with a psychiatrist. The HO sequences are sufficiently challenging to make you pay attention while, on the other hand, not so difficult that you’ll make frequent resource of the hint button. I can say the same for the mini-games. Game play is quite logical and intuitive, so you'll probably just use the excellent map as a 'rapid transit system' rather than as guide to the next location of interest. As always, my caveat is that you play the demo and decide for yourself. Rated 3 out of 5 by roaming from Meh. Just So-so. Seriously? Who puts a lock on their kitchen door and also the fridge? They do in this game. And of course, as per usual, the fire extinguisher is locked up, too, and so you have to run around finding pieces and parts and solving puzzles to get the keys to just about everything. This game has way more puzzles than HOS. I don't like puzzles. I'm not good at solving them, find them frustrating, and skip them all. I do like HOS. 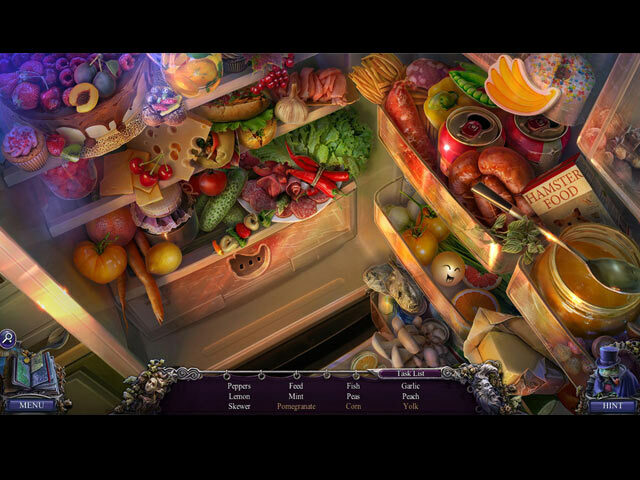 These are supposed to be hidden object games. It says so right up there under the title. 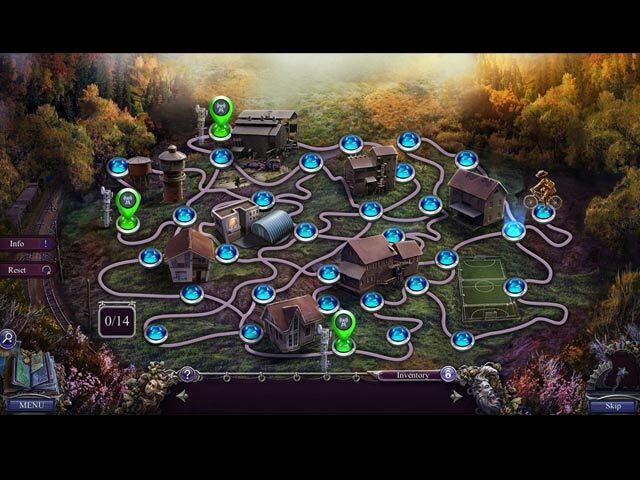 It doesn't say puzzle game with a few random hidden object scenes thrown in. Other than that and the extremely abrupt and unsatisfying ending, it's an okay game. Rated 3 out of 5 by dwelliott from Way too short. Good game, but too short. Over almost immediately after I "purchased" the full version. I actually wasted a free game code on this. Sad. Rated 3 out of 5 by Shelly718 from Mediocre With Some Good Moments Mystery Trackers used to put out super high quality games for thinking players. Lately, a lot of my favorite developers have gotten so lazy and have been churning out clone games with identical storylines, boringly familiar HOS (find a butterfly, crowbar, horseshoe, feather - OMG!) and dull, repetitive, insultingly easy puzzles. That said, Memories of Shadowfield could have been a much better game as it's puzzles had potential, the look of the game was pleasant and there were only a couple of places where the music was annoying. I actually enjoyed the bonus content in this game more than the game itself. I feel this game would be good for novices as there is not much in the way of challenge here.